Savor a taste of the edible alphabet, from A to Z. Throughout history, visual and performance artists of all stripes and degrees of renown have rendered their visions within the whimsical medium of food. But however ubiquitous the practice may be, in Carolyn Tillie’s deeply satisfying and gloriously illustrated A Feast for the Eyes, we embark on a delicious adventure that redefines the world of art. Explore the surprising artistry of apple-head dolls, butter sculptures, coffee paintings, and a grand cathedral carved entirely from salt. Learn about the ancient role of food creations in ritual and global folk art. Experience the modern magnificence of electrified vegetable sculptures and ethereal molecular gastronomy. Discover why Salvador Dalí had an obsession with lobsters, and why there is a giant palace in the American Midwest made entirely of corn. 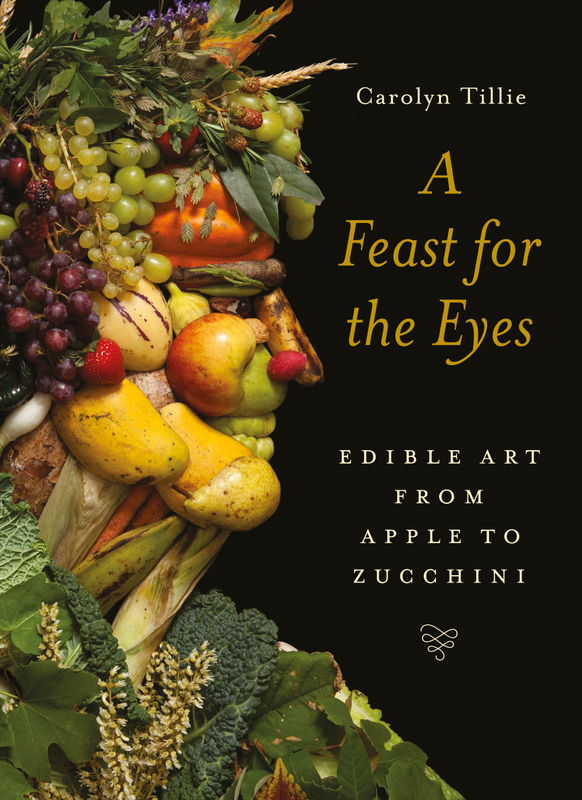 For food lovers and art aficionados alike, A Feast for the Eyes serves up an aesthetic banquet that will delight the senses—and nourish mind, body, and soul. Naturally high in essential vitamins and minerals, oysters are one of the oldest known foods consumed by humans. Varying in size from as small as a grape to as large as a dinner plate, the humble oyster has played an outsized role in the building of empires and the discovery of new lands. Consumed by both rich and poor, the oyster has inspired writers, poets, painters, and even lovers—Casanova was said to have started each day with a breakfast of fifty oysters. In Oysters: A Global History Carolyn Tillie delves into the culinary, artistic, sexual, historical, and scientific history of the humble bivalve. She shows how the oyster encouraged immigration and industry in the newly established United States, how it perpetuated slavery among those working in the oyster beds, and how Japan unexpectedly became the savior of the world’s oyster industry. Packed with colorful anecdotes, recipes, and more than fifty illustrations, this little book is a delightful introduction to the lore of the oyster.